In a small pot over medium heat, combine all ingredients and whisk thoroughly until well-combined. Bring to almost boil and then remove from heat. Pour mixture into a blender and blend until frothy and smooth. Divide evenly between two mugs and serve. 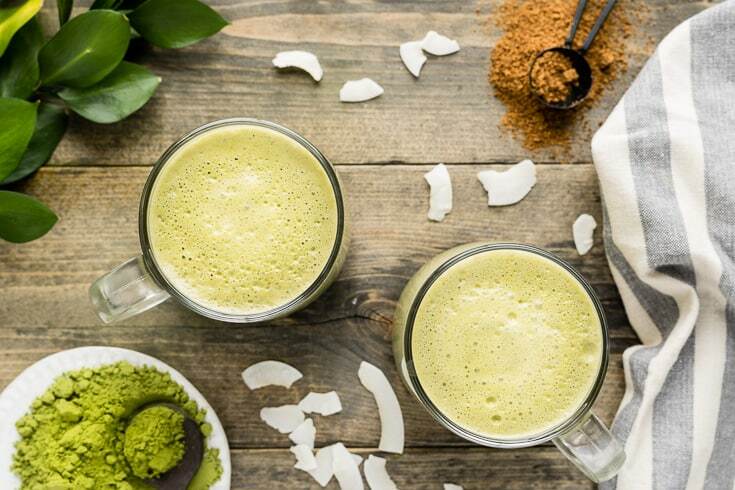 If you’re already a matcha green tea latte fan, make room for this amazing moringa tea latte recipe with creamy cashew milk, coconut oil and just a touch of maple syrup. But before we get to this delicious moringa tea leaf recipe, let’s look at possible moringa benefits as well as moringa tea side effects. What Are the Benefits of Moringa Tea? Moringa tea is naturally low in calories and has zero sugar content. In terms of vitamins and minerals, it’s exceptionally high in vitamin A. 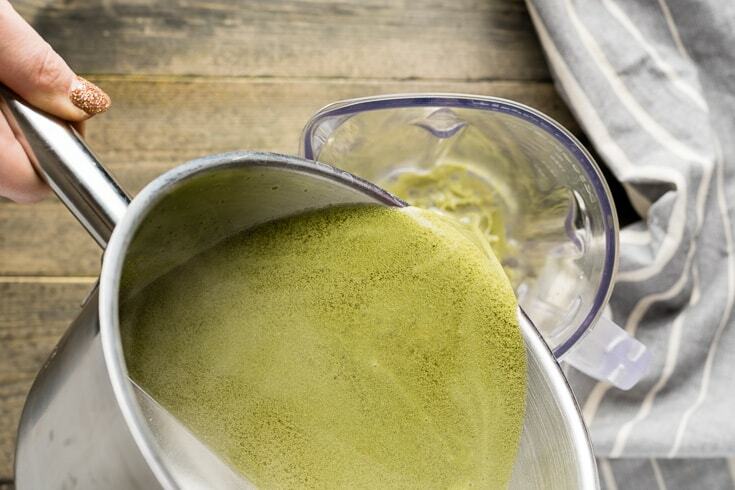 Just one tablespoon of moringa powder provides 75 percent of most people’s daily vitamin A needs! 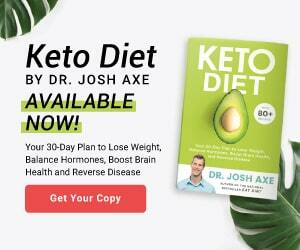 (3, 4) It also contains notable amounts of other really key nutrients like iron and calcium. 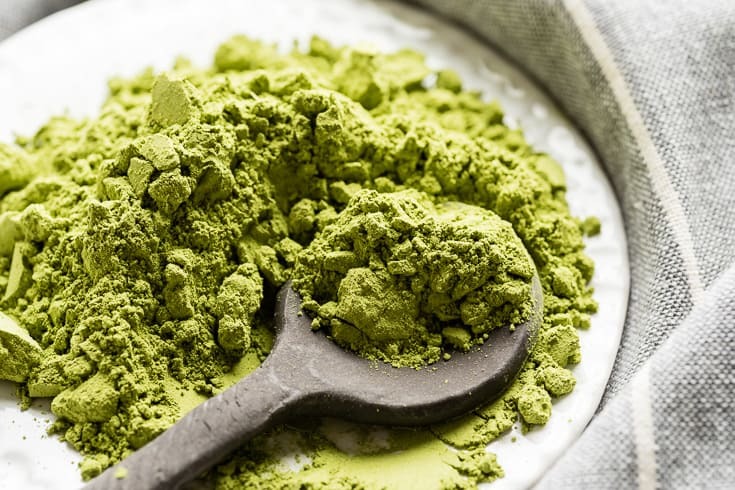 The most nutrient-dense versions of moringa leaf tea or moringa powder are organic and have been dried slowly under low temperatures (this helps to maintain delicate beneficial compounds). 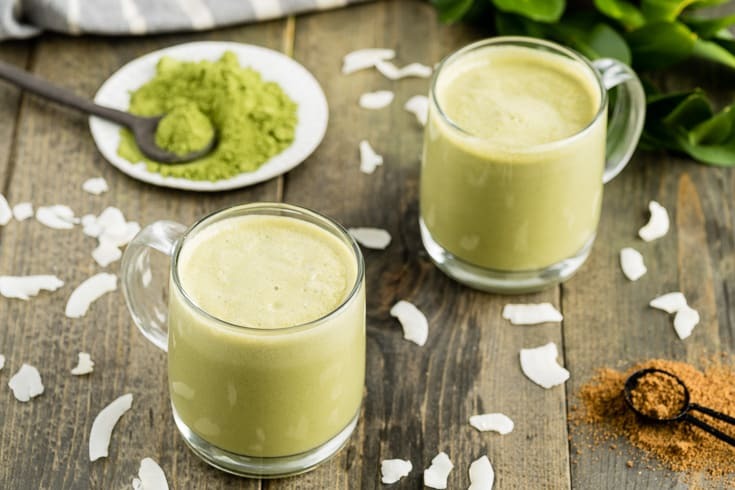 This recipe is for a moringa tea latte, but you can also purchase moringa tea bags and simply add hot water to create a quick Moringa oleifera tea. What Are the Side Effects of Taking Moringa? Can I drink moringa tea everyday? What are the side effects of taking moringa tea? 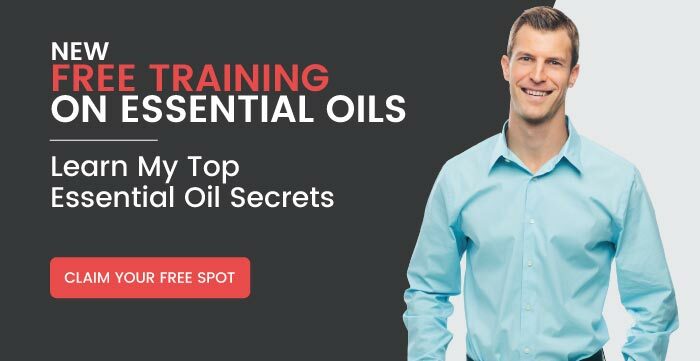 Since moringa is a newer “superfood,” people have questions like these about moringa — and they are good ones! It’s best to start off with a half teaspoon to one teaspoon of moringa per day to avoid unwanted side effects. This recipe contains about three quarters of a teaspoon per serving, so it’s a good place to start for most people. 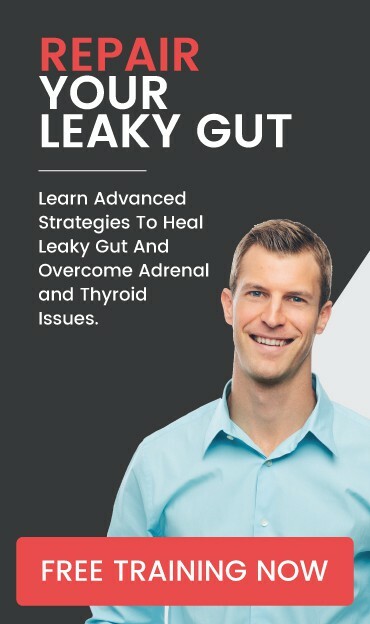 Moringa can have laxative effects and cause an upset stomach in high doses or when used too frequently, which is why most consumers choose to include it in their diet every several days rather than every single day to avoid these possible moringa side effects. 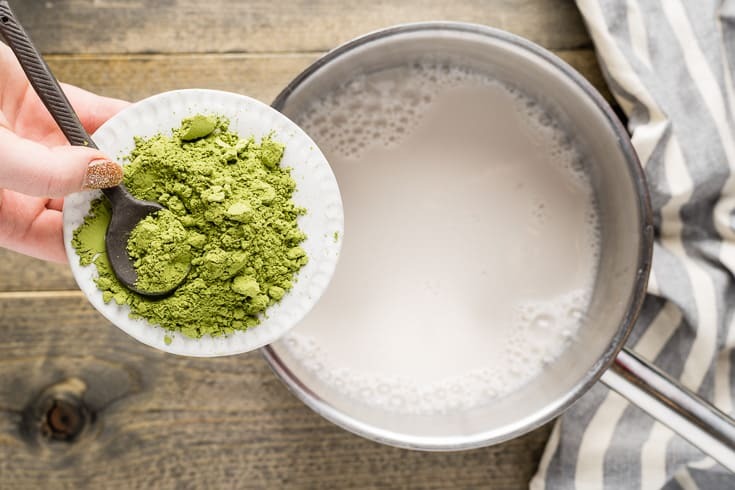 As you can see, this moringa tea latte has a lot of nutrients — many of which are thanks to the moringa powder, but some of them are also coming from the delicious cashew milk. How do you prepare moringa tea? Making moringa tea can’t really get any easier and tastier than this recipe. 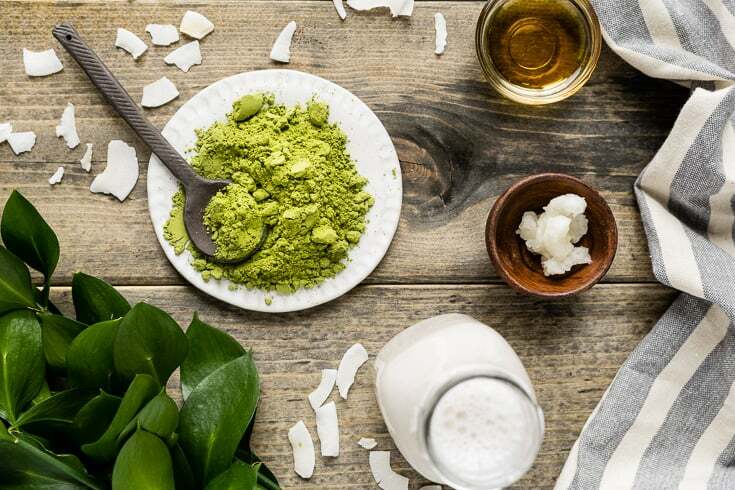 You simply combine and heat up four ingredients: moringa leaf powder, coconut oil, maple syrup and cashew milk. 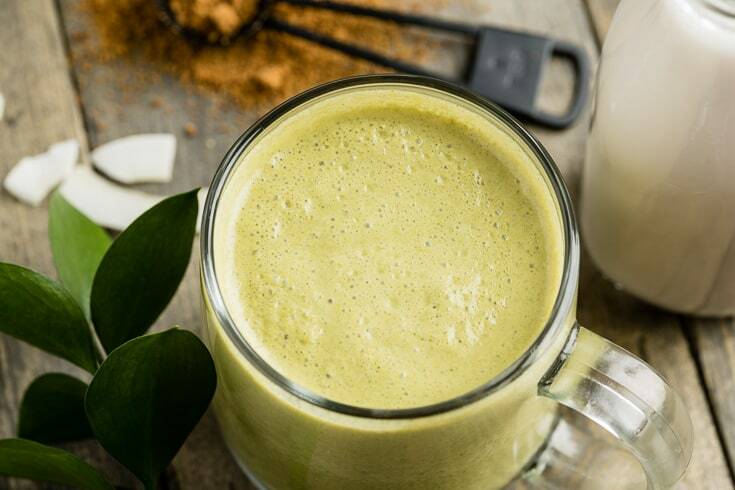 Then you blend them until frothy and enjoy a tasty moringa tea latte. This recipe is for two people or two servings, but simply cut the ingredient amounts in half to make it for one. In a small pot over medium heat, combine all four ingredients. 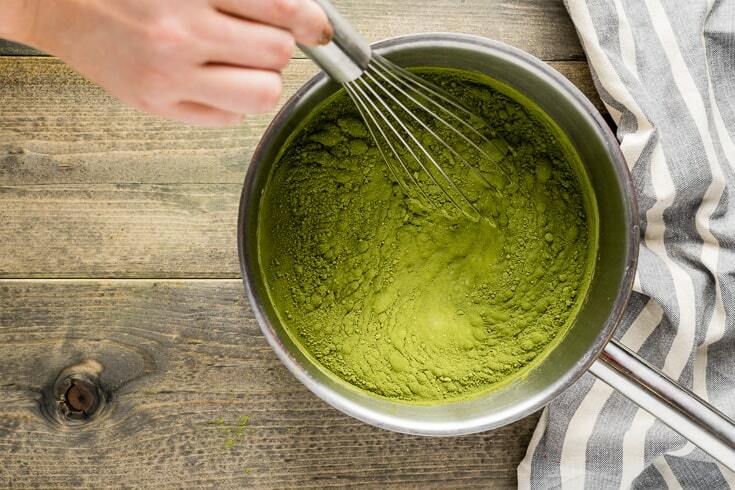 Whisk thoroughly until everything is well-combined, especially the moringa powder. Bring it to just under a boil and then remove from heat. Pour mixture into a blender and blend until frothy and smooth. I really appreciate the presentation . It was well explained . Thanks for the article and recipe. How much potassium is in moringa tea? I have heard that Moringa capsules (4daily) help with arthritis and inflammation. Is this true? If so, which brand do you recommend?